Back in 2012 we became one of the first UK agencies to partner with HubSpot, the global leader in marketing automation software. Today, we use HubSpot’s inbound marketing methodology to generate sales-ready leads that help our clients to grow. We realised that inbound marketing was a good fit for the complex sales environment of B2B technology, where goods and services are not bought off the page. By using content to engage potential customers and build relationships at each stage of their online journey, B2B tech companies can nurture leads until they’re ready to buy. HubSpot provides an all-in-one platform to manage, measure and improve the entire process of marketing online. The software also closes the loop between sales and marketing by integrating seamlessly with Salesforce and HubSpot’s own CRM platform, making it simple to demonstrate the ROI of marketing campaigns. 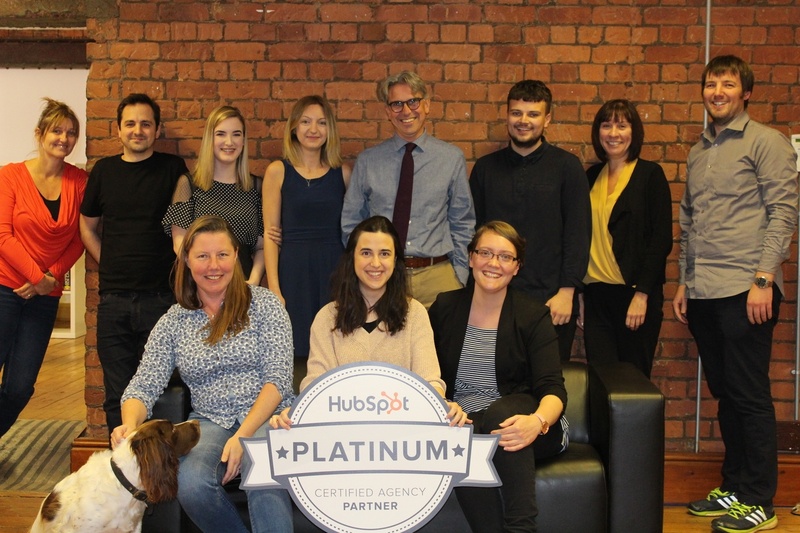 We’re proud to be one of the few platinum HubSpot partner agencies operating in the UK and every member of our team is inbound marketing certified by HubSpot. Besides providing the full range of HubSpot inbound marketing and website design services, we also offer a number of hands-on, interactive training days that can help you quickly become a HubSpot pro and utilise the tool to its utmost capacity.